Technical writing is writing that is done for the purpose of educating, informing or directing someone on how to do something. Technical writing is significantly different than other types of writing such as narrative, because technical writing is intended to impart to the reader some specific skill or ability. Technical writing isn't for everyone. It is often very detail-oriented and usually involves writing within fields where some advanced knowledge is required. When given a technical writing assignment, it also must be approached in a certain way in order for you to be successful. 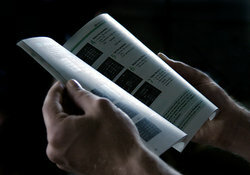 Technical writing is used in a large variety of fields such as engineering, computer hardware and software, chemistry, and biotechnology. You can also find everyday examples of technical writing in owner's manuals, employee handbooks, and in articles on the web. Training manuals and other company documents can usually be categorized as end-user documentation. When a writer is asked to write an operations guide, they are expected to have a working knowledge of the topic or area about which they are writing. Operations guides typically fall under the traditional technical writing category, but, in some cases, could also be considered end-user documentation. A technical writer who writes promotional brochures and other technological marketing pieces will be required to not only inform a potential customer of the offer being made, but to entice them to want to avail of it through the use of key phrases and words. Another type of technical writing is found in online articles. There is a wealth of information available on the Internet. Millions of people browse search engines and read through articles they find for instructions, guides, and to understand different things. Technical writing, in this case, could vary from articles on how to assemble a crib to articles with detailed medical advice or historical information. This area of technical writing can fall into any of the three categories of technical writing. As you can see, there are many different types of technical writing assignments. If you are interested in becoming a technical writer, you should consider working on both your writing skills and brushing up on your knowledge in your particular field in order to find the best possible opportunities. "Examples of Technical Writing Assignments." YourDictionary, n.d. Web. 23 April 2019. <https://examples.yourdictionary.com/examples-of-technical-writing-assigments.html>.